I spoke with Chad Michael Collins about Sniper: Ultimate Kill, Extinct, Howlers, and so much more. Sniper: Ultimate Kill will be available on 10/3 on Blu-ray and digital. Extinct premieres on 10/1 on BYUtv. Lena Lamoray: You were in CSI: Crime Scene Investigation, one of my favorite television shows that was cancelled. Chad Michael Collins: Well, it had a good run. Fifteen years is not bad at all. 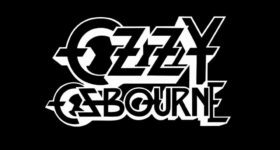 What’s one show that you would like to bring back? Chad Michael Collins: Well, the most obvious one for me would be Battlestar Galactica, so I could play a space cowboy like all the rest of those great actors did. That’s one of my all-time favorites. Sniper: Ultimate Kill comes out on 10/3. It’s the seventh film in the franchise and the fourth one that you’ve appeared in. Can you talk about how your character, Brandon Beckett, has developed and changed throughout the films? Chad Michael Collins: Out of the four films that I’ve been a part of, across seven years now, when we first meet Sgt. Brandon Beckett he is a sergeant in the Marine Corps and he’s an infantry soldier. He’s a boots on the ground guy and he’s running around with a machine gun. Along the way, he picked up the long gun, a big .50 caliber sniper riffle, because he comes across some nasty sniper characters and understands that the only way to beat a sniper is by being a sniper—a better one. That has, kind of, been his journey up to the point now where he’s a Special Forces gun for hire. He lends his expertise to catch and kill the big bads around the globe supporting all sorts of government agencies and global agencies. He’s come a long way and he’s got quite a body count under his belt. If you could personally give him any advice what would it be? Chad Michael Collins: Brandon is apparently not a guy who takes time off and resets his mind. I don’t think he takes vacations. I would tell him to chill out. Go to Bali. Get a little hut on the water and just maybe meditate for a week. It must be have been great being part of the Billy Zane and Tom Berenger reunion. Chad Michael Collins: Yes. They came together in Sniper: Ultimate Kill and shared the screen for the first time since the original film that came out in 1993. It was awesome to have those guys back together. Their dynamic is really fun to watch in this film in particular. They both had a blast and brought so much to the table. Their characters are now twenty-five years older, so seeing them breathe life into them again—they are not the inexperienced young bucks they were in 1993. Having them on board was a total blast. They own their characters so well. The audience is going to enjoy those two guys in particular. I’m a big Billy Zane fan. Do you have any funny stories about working with him that you can share? Chad Michael Collins: Oh man, who isn’t a Billy Zane fan? What a charmer. No, I love Billy and I love working with him. We had a lot of fun. I remember this one time we were in Bulgaria shooting Sniper: Ghost Shooter, and it’s Bulgaria so it’s a different language and currency. I’ll never forget when it was time to pay the bill. We were out having lunch somewhere and the currency are called lev in Bulgaria. He was talking to the waiter and couldn’t remember the name of the currency and when he said it, it came out like vayla. It sounded like some kind of space-age bitcoin of a currency. [Laughing] We had a good chuckle. Naive Americans in another part of the world trying to do our best to work with their language and the names of everything. It was very funny. One of many funny stories. It’s fair to say that your team is taking on The Devil this time around. Chad Michael Collins: Yes. We come up against a very skilled and a very talented evil gun for hire and they call him El Diablo—The Devil for the way that he terrorizes. He got his hands on some nasty pieces of high-tech weaponry. He’s the most difficult challenge that we’ve had to face so far. How much training have you gone through just for these films alone? Chad Michael Collins: The great things about these films is that they always hire wonderful military technical advisors. We’ve had some great guys working with us over all of the films. They are guys that literally have sniper experience and have seen some stuff overseas. We don’t go ahead of time and do a boot camp or anything like that, but I take it upon myself to go and get a little tactical gun training. Mostly when I’m there I’m training with the experts. They understand these things better than I could, so to not pick their brain every scene, every day is a wasted opportunity. I don’t have an ego about it. They’ll forget more than I’ll ever know. I try to pick their brain and make sure that everything is technically correct and that I know the proper way to hold them, the proper way to load them, and everything else. These guys are an incredible asset. I’ve had a lot of wonderful experiences just picking up on their knowledge. Do you have a favorite action sequence? Chad Michael Collins: In Sniper: Legacy we had to have four different choreographed hand-to-hand combat scenes. Those are a blast. The Bulgarian stunt team, they do everything from Game of Thrones to the The Expendables movies, they are incredible. They are one of the best units in the world. We were fortunate enough to have them on that movie. That movie was really fun because I got to mix it up. I got to fight two guys at a time. I got to fight one guy at a time. I got to throw somebody’s head through a car window. I got to flip somebody over onto a table, etc. That was probably my favorite movie in terms of being able to do those stunts. We’ve, kind of, stepped away from the hand-to-hand a little bit. It’s more about the gun play, but in particular those were my favorites to do on that film. 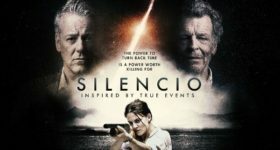 Do you think that were are going to get more films? Chad Michael Collins: I hope so. I really, really do. I feel like with Billy and Tom coming back into the fold it’s, kind of, a really fun three way dynamic that hasn’t been explored before. I know they both love the franchise and would be eager to come back. I would love to keep this going up to the point where I get to have my own son and pass the torch to him. That would be fantastic in Sniper: 25. [Laughing] I hope we keep going. This is the biggest spectacle that we’ve ever made, so hopefully audiences will respond to that and that will excite Sony to green light some more. 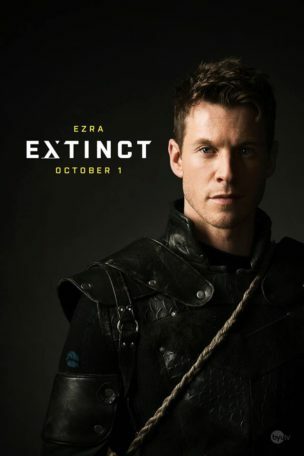 You play Ezra in Extinct, which is premiering on October 1 on BYUtv. Chad Michael Collins: Yes. Extinct is a new sci-fi show for BYUtv. It was created by Aaron Johnston. He’s a New York Times best-selling writer and a comic book writer. He basically partnered up with Orson Scott Card. He’s pretty famous for doing the Ender’s Game series. They created a fun little world for us to play in. What can you say about the series? Chad Michael Collins: The whole premise of the show is 400 years in the future after an alien incursion happened. They annihilated the entire human race, hence the title Extinct. Everyone is gone, everyone is dead. There is a small handful of humans that find themselves reborn 400 years into the future. They are reconstituted by an advanced seemingly benevolent alien race. We don’t know why, but our memories are in tact. We don’t know why we are here and why specifically us. We are trying to survive in the elements of post-apocalyptic Earth. There are also remnants of the aliens that invaded 400 years ago. We have that threat. We also have the struggle of figuring out why we are here and what do we do. We find ourselves as perhaps pawns in a much larger game. That’s the basic premise. They do have some great behind-the-scenes photos posted on Twitter. The sets look amazing. 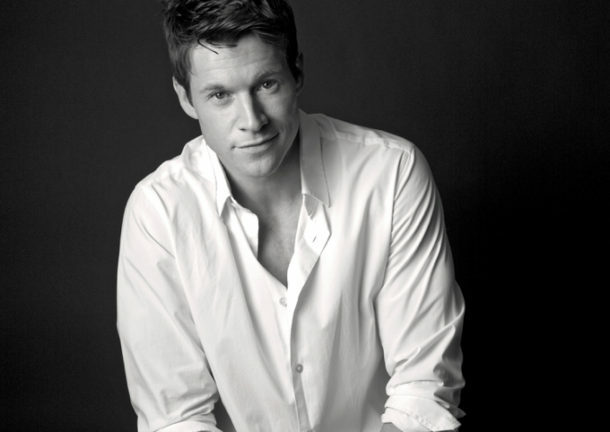 Chad Michael Collins: The sets are really fantastic. They did an amazing job building this world. That’s one of fun things about sci-fi, you literally get to create a world from scratch. Since we are in the future, it’s really fun—everything from the costumes to the set pieces. You’re going to have your touches of the advanced alien technology and you’re going to have your touches that they are just people. There are no factories or civilizations. We are doing the best we can putting together outfits, weaponry, tools, etc. It also has a, kind of, Mad Max feel where we are not quite medieval. At the same time, we are just cobbling together almost steampunk style. Whatever we can make use of to continue to survive. Out of all of the cast members, which one do you think would do the best in that situation and why? Chad Michael Collins: Oh man, I have to vote for myself. [Laughing] It’s fun. The character I play, Ezra, he’s a guy who is former military, so he’s got that experience. He’s a family man, so he knows how to take care of people. He kind of becomes the leader of this small group of reborn. He makes a lot of the decisions and kind of ensures their survival. He’s capable as a fighter and survivalist. He’s got that skill set where should the aliens come and a zombie apocalypse happens, he’s good to go. I’d give myself the best shot, selfishly. Chad Michael Collins: We had a lovely cast. Victoria Atkin is really well known for her work in the Assassin’s Creed video game series. She plays one of the main three, the trifecta of of reborns—me, Victoria Atkin’s character Feena, and and our co-star named Yorke Fryer, who plays a reborn character named Abram. We are the first three. We all get constituted and reborn together. We are trying to survive together. They were wonderful to work with and to play with. We have Matthew Bellows, who is a fantastic actor. He shows up in the pilot episode and you question what he’s all about. There are a couple of other characters that I can’t speak too much about because they are really fun reveals as we go on. It’s a lovely cast. It was a tough shoot. The first episode that we shot was in Utah, in the desert terrain where they filmed the original Star Trek. It was in August, so it was 115 degree heat and we were in all black. I love my co-stars. It was a baptism by fire for all of us to literally just survive and do the best that we can as actors. It’s an action adventure show, so a lot of those days were tough and took a lot of energy and concentration to get through that stuff. We were really a band of brothers when it was all said and done. Chad Michael Collins: I just got word from my director friend, I did a film called Howlers last year and I think it’s going to be out early 2018. It’s an action, horror, werewolf film. I don’t know if you are a fan of John Carpenter’s films from the 80s, but it’s got comedy elements and it doesn’t take itself too seriously. I play an old west cowboy who under mysterious circumstances finds himself in the present day trying to track down a band of blood thirsty werewolves. He’s a werewolf slayer so he tracks them down as they rip apart and terrorize this small town in the present day. My character, Colt, finds himself wanting to get on a horse and ride off into the night to chase these guys down, yet there are these big and shiny vehicles. What is this? It’s really fun and funny the way that this guy is from a different time and he’s in the modern world. He takes care of business with his crossbow, double battle axes, his curl-handled colt revolver, his Winchester riffles, and we’ve got a lot of fisticuffs. That was really fun and entertaining. There is lots of cowboy on werewolf fight scenes. My co-star is the wonderful Sean Patrick Flanery. He’s fantastic in it.